She’s the best bounty hunter in the galaxy. He’s not the monster she assumed. She put him in handcuffs, but will he capture her heart? Treska Sivekka is known as the Huntress -- the Union’s most skilled bounty hunter. She specializes in capturing the treacherous psypaths whose telepathic abilities pose a security threat to the government she loves and serves. To complete her mission, she sets her sights on Micah Ariesis, the last remaining psypath in the star system. After capturing Micah, the two are forced into close quarters on Treska’s starship. As the psypath begins to dismantle all of her assumptions about his people, she learns just how human they really are. Before she can come to terms with the past and her feelings for Micah, an imminent danger threatens to cut short her mission, her life, and any chance of a future with the one person she can really trust. 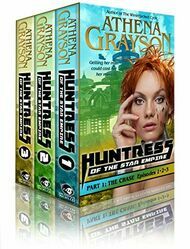 The Chase includes the first three episodes of the Huntress of the Star Empire, a romantic fantasy series set against the backdrop of an interplanetary government and the resistance fighting against it. 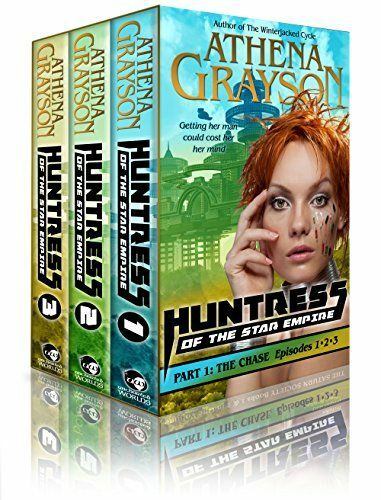 If you like fast-paced action, satisfying romantic tension, and breathtaking sci-fi worlds, then you’ll love Athena Grayson’s sizzling space opera. Buy The Chase to start the adventure today!